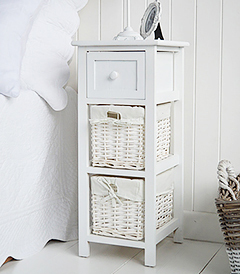 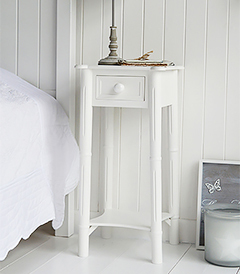 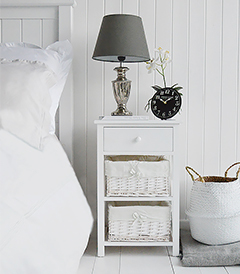 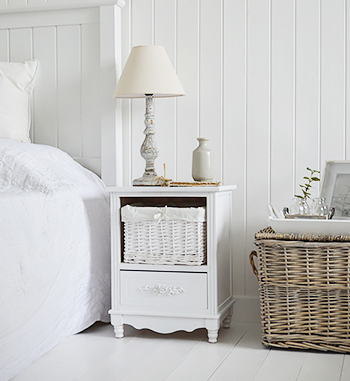 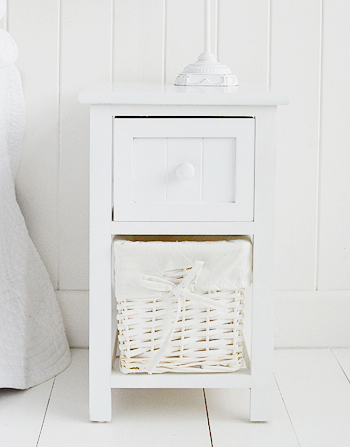 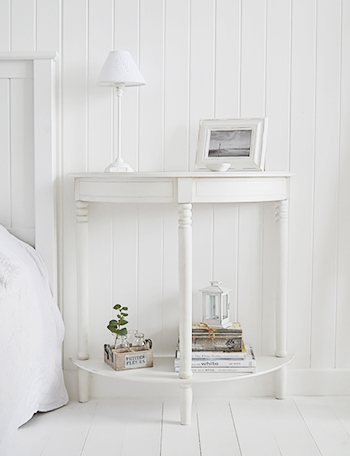 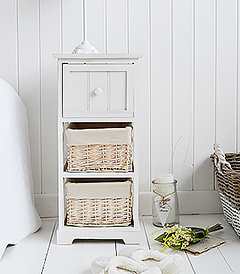 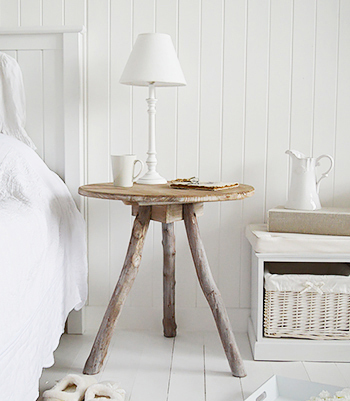 The tall New England white bedside table with a drawer and shelf. 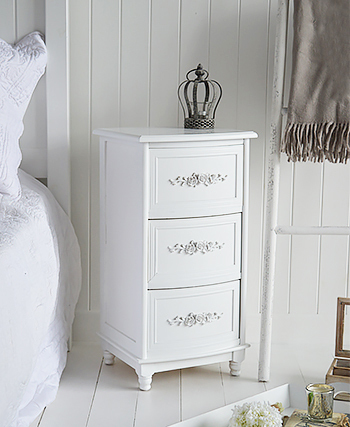 Available with three different handles to ensure one style suits your bedroom interior design. 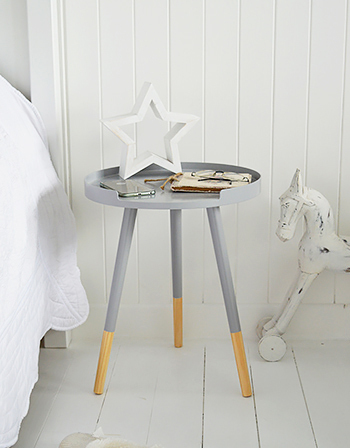 ...The bedside table comes in so many styles colours and sizes, so we offer a wide range to ensure one is suitable for your bedroom. 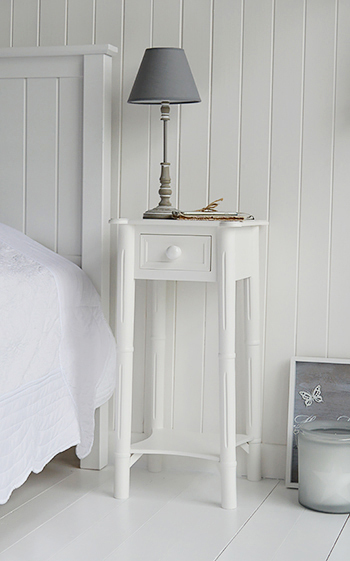 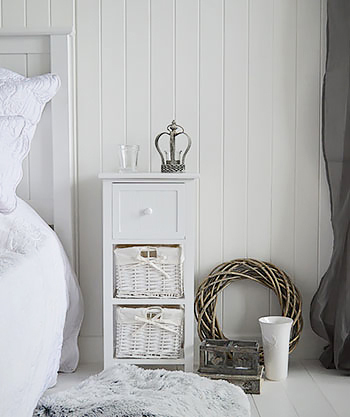 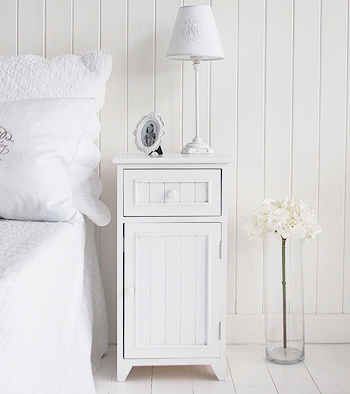 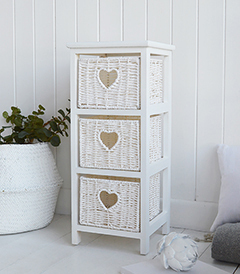 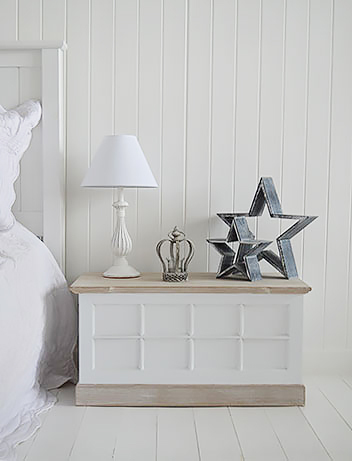 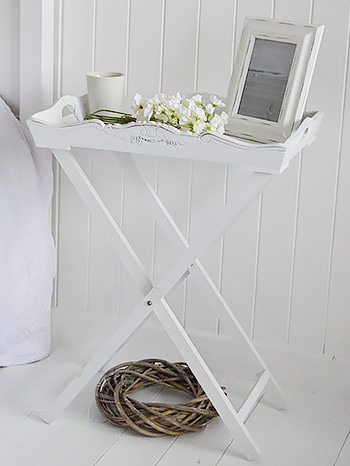 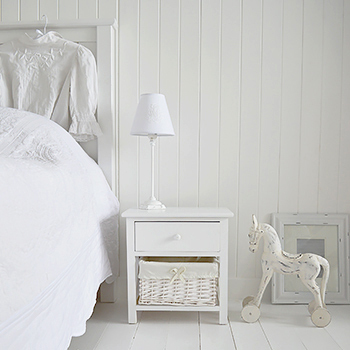 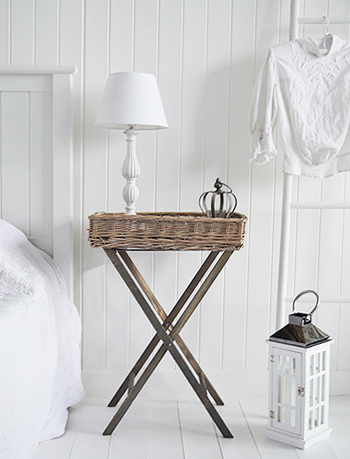 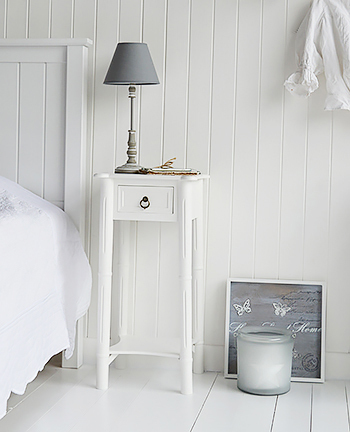 Our favourite is of course a white bedside table, a firm favourite that will complement all styles of bedroom interiors. 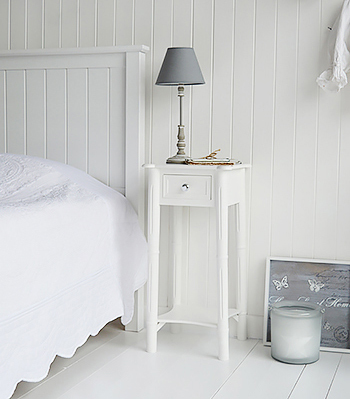 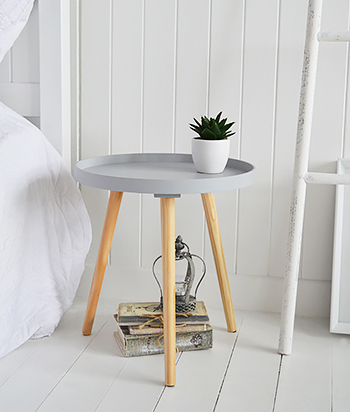 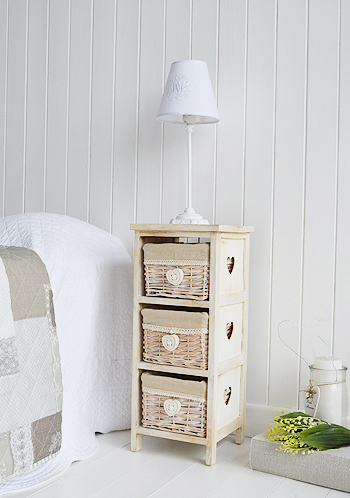 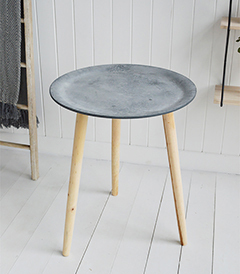 Looking for a narrow bedside table? 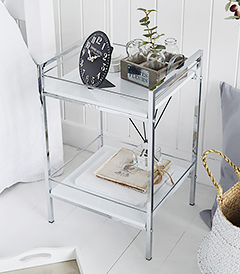 We know space is so important in your bedroom and we have designed bedside cabinets and tables to fit into even slim gaps bedside your bed with great storage drawers. 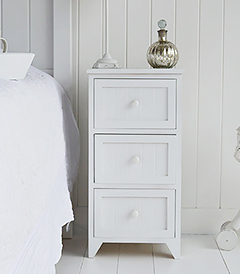 We have styles and colours that will suit your bedroom beautifully. 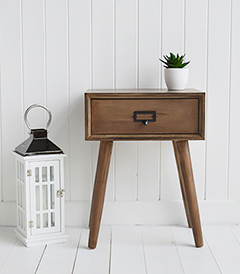 Our narrow and slim bedside cabinets at 25 cm wide will most difinitely fit your space. 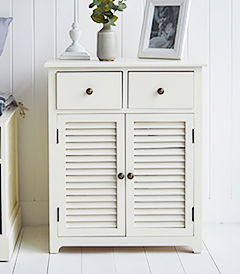 Which do you prefer, a table or a cabinet? 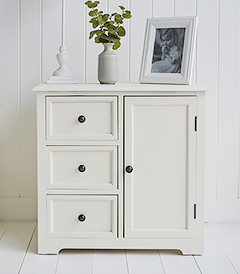 Depending on your needs for storage you may prefer a cabinet with drawers or a table with a shelf, purely for a bedside lamp or a place to set your tea in the monrings. 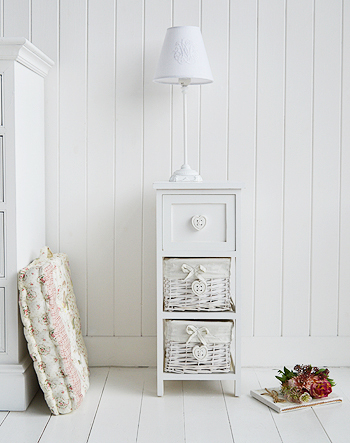 A cabinet offers masses of storage for everday items and removes the clutter for a stress free bedroom. 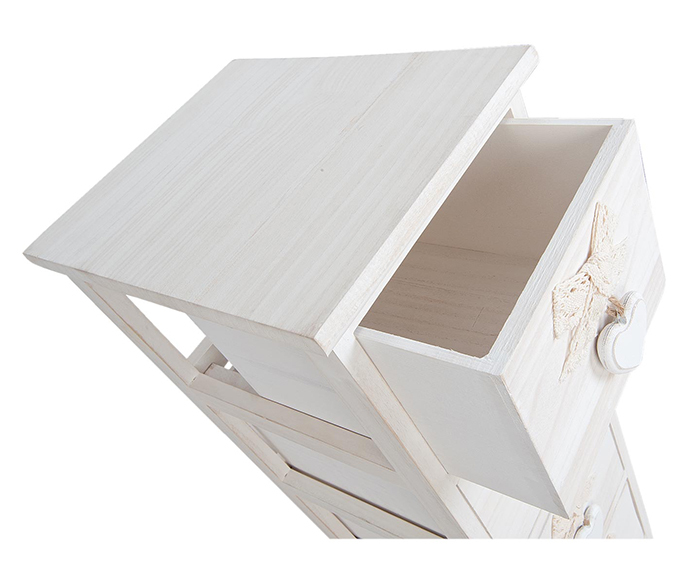 There are plently of different versions here to browse through in varying shapes and sizes. 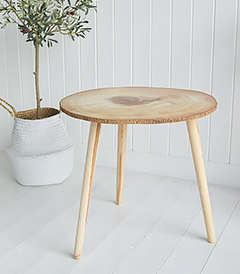 What design do you prefer? 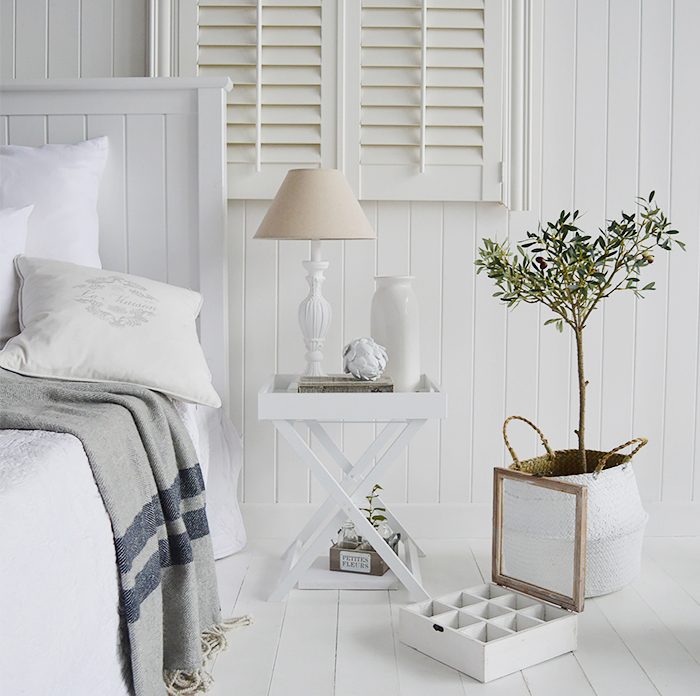 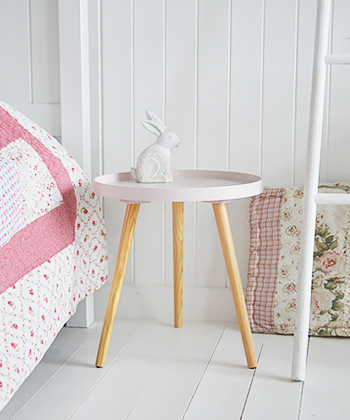 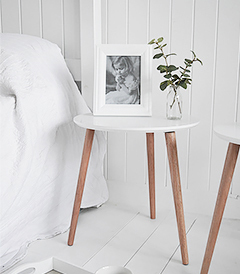 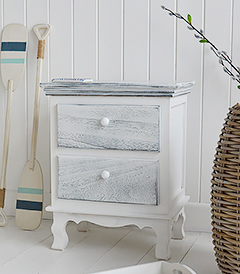 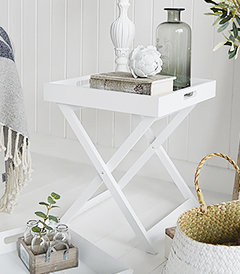 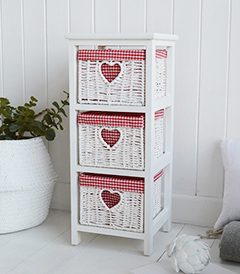 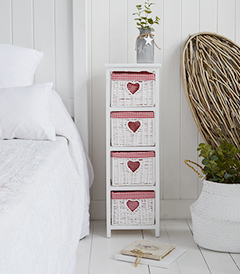 Whether you prefer traditional, coastal, scandi chic, pretty floral, cottage, french or danish we have a style to suit your bedroom and are always adding new tables so be sure to keep coming back to look. 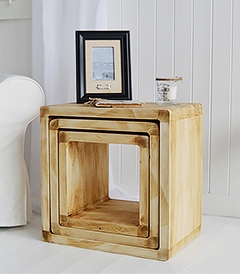 You are visiting The White Lighthouse because you searched for the best online ideas and designs in bedside tables. 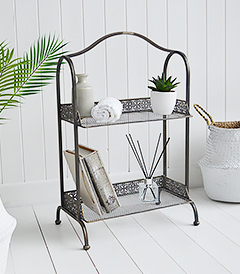 We believe the we have brought together one of the best and most extensive ranges, all available online, mostly with free UK delivery.